Find My Workspace lists over 95% of the business centres market in Aberystwyth. Simply click Request Quote to check pricing for one office, or Add to Basket for multiple offices. This centre is a newly opened building on Bridge Street, Aberystwyth, boasting an enviable location in the town centre. With renovation and decorating works being carried out over the coming months, there is the opportunity to rent a work spaces, offices, virtual office, meeting room and hot desks. This centre has a coworking area, offices for two people, toilet facilities and meeting rooms on the ground floor. On the first floor there are two spacious offices for four desks with additional storage cupboards (lockable), a kitchenette, a relaxing reception area and also toilet facilities. 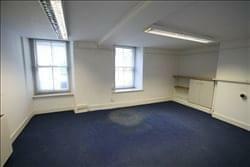 The second floor boasts two quiet and charming offices, both with enough room for two large desks and ample storage. To obtain information for your selected Ceredigion Business Centres, please tick the "Add to basket" box for each office you prefer and complete the form below. We will then send a detailed report via email.